It is copyright © Sara Wintz and Jacket magazine 2010. See our [»»] Copyright notice. 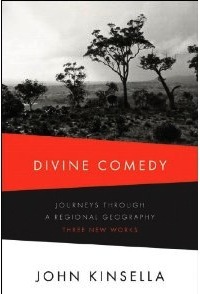 I embarked upon reading John Kinsella’s epic Divine Comedy: Journeys through a Regional Geography hoping that it would bring me to a greater understanding of the place of Australia, in my mind. A complete understanding of which, as an English-speaking poet living in the United States, may remain hopelessly incomplete while reading in opposition to long distance. I found Kinsella’s book far more interesting as a psychogeographic journey, than I did a new work based on a classic text. (But maybe that’s because I’m less interested in The Divine Comedy than I am in The Situationists and Robert Smithson.) As such, I will focus this review on Kinsella’s replication of physical/emotional landscape within a text, and the possibility (or impossibility) of immersion. What becomes interesting to me, in this book, is how possible or impossible it may be to enter and understand a replicated physical world that exists inside of a text. Perhaps this is because Kinsella does everything possible to enable that visceral sensation: his descriptive phrases feel thorough, his voice is clear. I even relate to voice of the narrator who “speaks” to me. Nevertheless, I found it difficult to become engrossed enough to feel re-located from my bedroom in Brooklyn. And having felt that euphoric, immersive sensation in the past, with Kinsella’s work — it is possible! But perhaps not in this book. What’s up with my standards? When Kinsella says “for a poet to really come to grips with place, the best thing might be complete immersion — say, for example, writing about one small space consistently over the period of a year.” (Divine Comedy, 3) Robert Smithson once wrote, “To understand this language of sites is to appreciate the metaphor between the syntactical construct and the complex of ideas, letting the former function as a three dimensional picture which doesn’t look like a picture.” (Collected Writings, 364) After Kinsella’s writing about a space for a year, I just expected the end result to feel more like a site, to me. the new machinery and silver field bins. could hope for parole, petition, release. I love this poem. This is probably one of my favorite poems by anyone, ever. One of the reasons why I love it, is that it contains a scene with characters, loose dialogue, cause and effect. I can step into it like an episode, or an act in a play, and think about where it has come from and what has happened. I feel for the silo, the farmer and the farmer’s wife. Even the cockatoo, a little. New trees, new fruit, new contracts. … would compare a leisure centre to an inferno. And that predictability, distracted me. It stymied my desire to step into his world. As a result, my response became a more remote one — to listen — as opposed to engagement with the text. Why is a secondary, immersive landscape, not possible? I found myself wanting to absorb endless, new information and unexpected description. And I suppose, regarding the content of Kinsella’s Divine Comedy, I anticipated too much, or already knew what might happen. I found myself wanting to step into Kinsella’s landscape but failed to find an entry point that made immersion desirable. His plot was so predictable that it became, itself, a distraction. Despite my desire to step into an Australian landscape, Kinsella’s “syntactical construct” left me anxiously in limbo. Flam, Jack. ed Robert Smithson: The Collected Writings. Berkeley: University of California Press, 1996. Kinsella, John. Silo: A Pastoral Symphony. Fremantle: Fremantle Arts Centre Press, 1995. 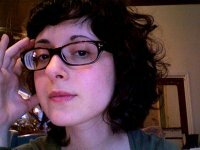 Sara Wintz is a writer and curator living in Brooklyn. Her writing has appeared in Ecopoetics, Cricket Online Review, Interrobang? !, The Poetry Project Newsletter, and on Ceptuetics. She is an MFA Candidate in Creative Writing, in the Milton Avery School of Graduate Studies at Bard College.